The Founders' Award is an award for UK-based postgraduate students working in the area of micro- or mesoporous science and Lovat Reescelebrates the most promising PhD student of the zear. 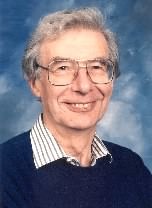 The Award is presented each year at the BZA Annual Meeting and has been devised in honour of Lovat Rees, one of the father figures of British zeolite science and one of the founding members of the British Zeolite Association. The Award consists of a trophy. A scientific committee consisting of both academic and industrial scientists assesses the applications. In the event of a draw between candidates, the assessors may use a short telephone interview to determine the overall winner. The award will be announced prior to the BZA conference to allow the winner a reasonable amount of time to arrange their attendance at the conference to receive their award. More details on the Founders' Award page. First awarded in 1983, the Barrer Prize pays tribute to the memory of Richard Maling Barrer (1910-1996), the founding father of zeolite Richard Barrer chemistry. The award, created after the 1979 Annual Meeting of the BZA, is administered by the Royal Society of Chemistry, the Society for Chemical Industry and the British Zeolite Association. It recognises meritorious recent pure or applied work in the field of porous inorganic materials and is awarded triannually (the next time in 2017). The winner, who must be 37 years old or younger in the month nominations close and must have carried out their pure or applied work in the field of porous inorganic materials in an institution in the UK or the Republic of Ireland, receives £500 and a certificate. Nominations for the next Barrer Award open on 1 September 2016 and close on 15 January 2017. Full details about the Barrer Award can be found on the RSC webpage.